In 2018, exploration added at least 10.5 billion BOE in conventional new field volumes. This was split 40/60 oil to gas. While overall volumes might be modest, there were some encouraging wells. Last year saw three play-opening discoveries – Ranger and Hammerhead on Guyana’s prolific Starbroek Block, and the Dorado find, which confirms a new liquids play in the Roebuck sub-basin, offshore Australia. Last year also saw three giant finds – Novatek’s 11.3 trillion cu ft North Obskoye gas find offshore Russia, the Calypso gas discovery, offshore Cyprus, and Guyana’s Hammerhead. This trio, together with the 18 large discoveries made last year, account for 80% of the total discovered resources. Dr Latham added that southern and western Africa will also see a resurgence in offshore exploration. 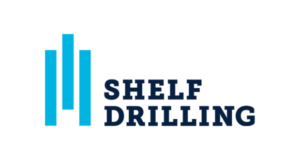 Chevron will spud Kingsholm-1 in the US Gulf of Mexico’s prolific Mississippi Canyon area toward the end of Q1. The prospect is high-pressure, high-temperature (20 ksi) and holds an estimated 300 million BOE of resource. Last on this list is the Jethro prospect, on the Orinduik Block, offshore Guyana. This well is on acreage adjacent to ExxonMobil’s prolific Stabroek Block and will target a 200 million BOE prospect in the same play as the recent Hammerhead find. While not in Dr Latham’s top five, Total’s Venus-1 well, in Namibia’s ultra-deep offshore, has the potential to be the year’s largest discovery. The ultra-deepwater wildcat will target 2 billion bbl in a giant Cretaceous fan play, close to the South African maritime boundary. “Exploration remains critical for the majors and all eyes will continue to follow their wells. A small number of independent IOCs and international NOCs will also be readying their high-impact prospects. Less active in exploration in the coming year will be the private equity-backed explorers,” Dr Latham added. Those companies that are sticking with exploration have renewed confidence. “A stronger oil price, lower cost base, refocused portfolios and greater drilling success in 2017-2018, and a healthy inventory of new quality acreage have cheered up the industry,” Dr Latham said. “It is using more efficient rigs at lower rates, and avoiding technical complexity. These changes will help the industry stay on track and continue to be profitable. “Sustainable energy technologies are advancing and public attitudes towards oil and gas exploration are changing, too. As a result, we foresee more partial or complete exploration bans. However, so far this is a trend for economies that can afford a declining hydrocarbon contribution in their energy mix. The industry will be watching closely to see if such bans spread to countries with greater subsurface potential,” Dr Latham concluded.